The ProfileTrak G series are compact profiling sensors that fit in tight spaces. 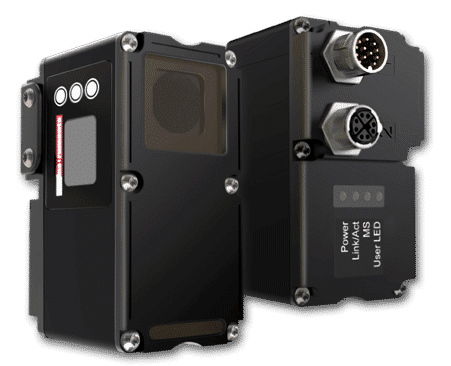 These 2D/3D sensors provide accurate profiling, height, width and positioning measurement using the latest CMOS technology with fast measuring rate of up to 4,000 Hz, built-in display, excellent measuring accuracy, compatible interfaces such as Gigabit Ethernet and much more. Available with measuring ranges from 36 mm to 400 mm for applications such as profiling, height, width and positioning measurement. 8000-1061-001 Protective disc holder 1 pc.